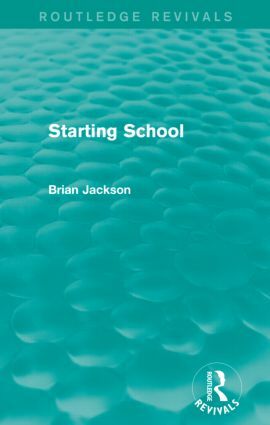 First published in 1979, this book considers the culture of a multi-racial community through the eyes of six children about to start school. Each child is from a different background but all live in the same street in a town in the north of England. Following the children from home into school, their six separate lives are unveiled, illustrating the manner in which their six separate worlds are in some ways grounded in their own respective cultures, and in others interwoven with the common experience of school. These Children enter school in search of a multi-cultural society, and a sympathetic appraisal is made of what happens to them as they face such initially daunting prospects as the classroom, television and the playground. The most compelling element in this book is the way in which education is shown to be able to derive benefit from this cultural diversity. The research was commissioned by the Social Sciences Research Council and the Leverhulme Trust, and will be of particular interest to those working in social work and education. What Do We Know about Victoria?